The water fitness revolution, on a single machine we joined CORE work, cardio and strengthening leg muscles. 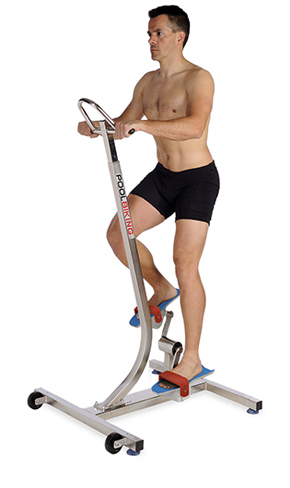 POOLBIKING CORE exercise affects directly to the posture working, the lumbar support, the balance and corrects bad posture produced by daily activities. The current lifestyle has changed the functionality of the entire motor system. 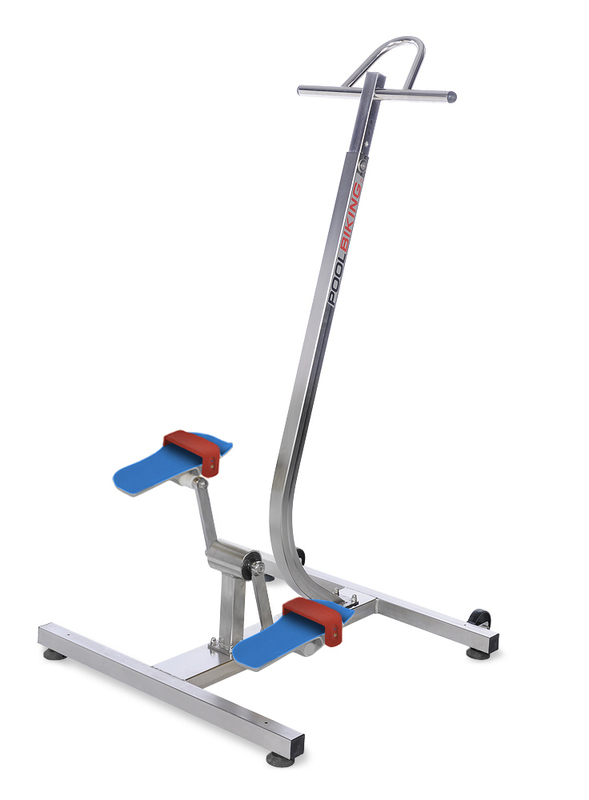 POOLBIKING CORE is an excellent tool to unlearn wrong habits, cardiovascular work and compensation in order to counteract the tendency to muscle imbalance due to everyday life. 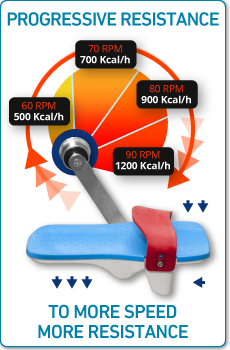 The calorie consumption is greater than 800 cal / h. The water weightlessness helps us to develop postural endurance without feeling the body weight. Reinforced construction for intensive or professional use in AISI 316L stainless steel with electro polished protective treatment. Stainless steel sealed bearings in the center bottom bracket, the only system that guarantees a perfect turn. Adjustable EVA fungicide rubber pedal which adapts to any foot size and is extremely comfortable to use barefoot. COMFORT POOL is a design protocol based on ergonomics, biomechanics and ease of use. 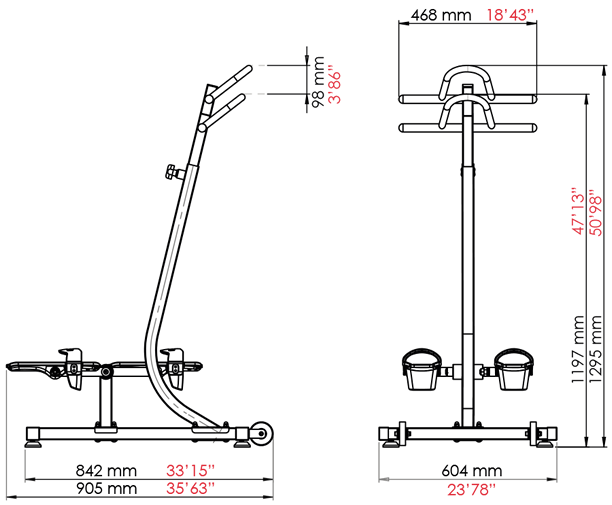 This protocol has been designed by a medical team, sport team and the design department of POOLBIKE. 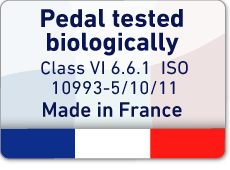 Taking special attention on that parts of the product that are in contact with the user, like the pedals, the saddle, the structure and the closures, we are following an User Centered Design criteria. We take into account these parts because are the keys to our product success, the user is pedaling barefoot and takes just a swimsuit without protection. All machines POOLTREKKING and POOLBIKING are perfectly adapted to any user regardless of their physical condition, their body structure and age. The brand that covers the product range with F.P.R. and the water Fitness activities carried out with these products. 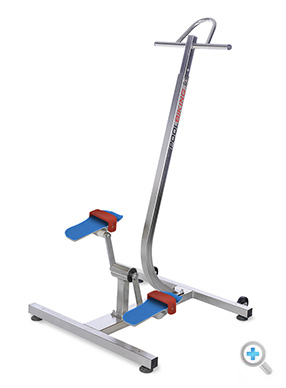 POOLBIKING version, high intensity and high caloric exercise, suitable for persons used to physical exercise. The brand that includes the machine, the use of the treadmill in the water and the aquatic activity performed with the machine. Aquatic gym concept with a combination of POOLBIKE work out machines.